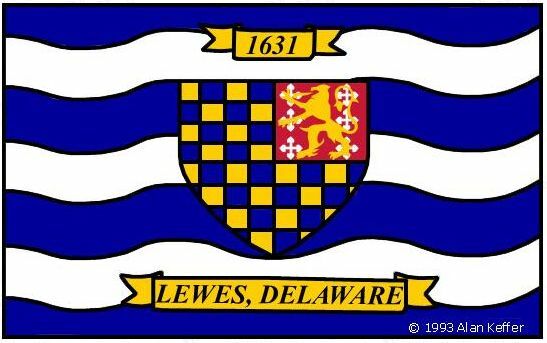 If you wish to order the Lewes Flag, state, world, rainbow or specialty flags, we accept telephone inquiries/orders, 302-258-4335, especially for local Lewes or Rehoboth Beach customers. 2. To view our selection of state and international flags, go to the Annin Flag Company's website. For an even more extensive image depiction and description of international flags go to the Flag Institute's website. [Use your browser's "back" button to return to our site.] Then note the world or state flag names and sizes that you want to purchase on the Order Form. The prices of your selections can be identified by returning to our HOME page and then clicking the "STATE FLAGS" and/or "WORLD FLAGS" buttons. 3. To order flag accessories found on the ANNIN site, just call us at 302-258-4335 for current prices. 4. 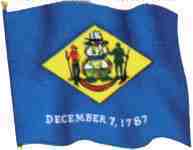 To order a Lewes Flag or product, listed below, call for quick delivery 302-258-4335. 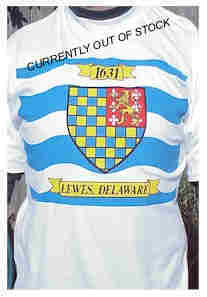 *Lewes Flag T-shirts are silk-screened on top quality Hanes Beefy-T's with a full color reproduction of the Lewes flag covering the chest area. 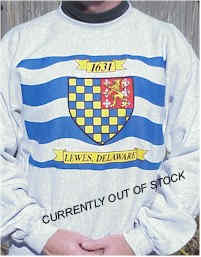 **Lewes Flag sweat-shirts are silk-screened on high quality Hanes double weave sweatshirts with a full color reproduction of the Lewes flag covering the chest area. 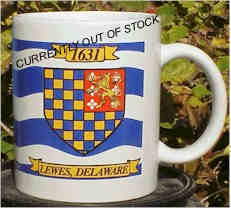 (limited stock) ***Lewes coffee mugs have a full color Lewes Flag reproduction that wraps around a high-quality porcelain mug. If shipping is required, add $3 for first item in order, and $1 for each additional item.